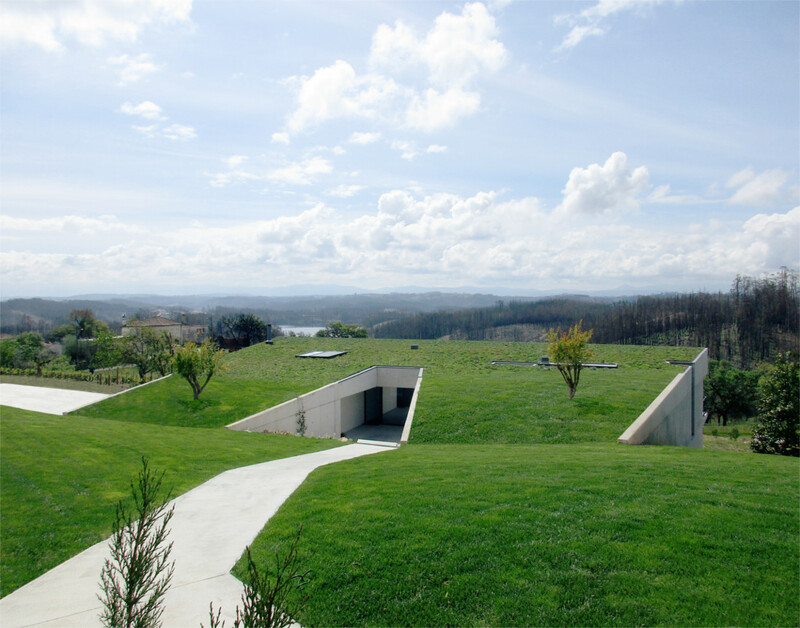 The plot was located in Almacinha, county of Mortágua, Portugal and had a diagonal view to the beautiful landscape of the Aguieira dam. 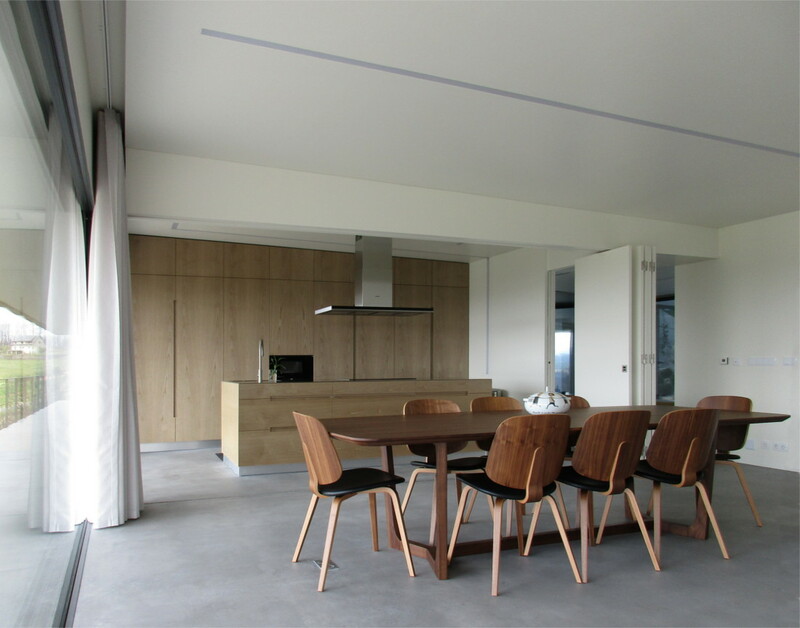 We were asked to design a concrete concrete house with environmental concerns generating maximum thermal efficiency and respect for the green surroundings. 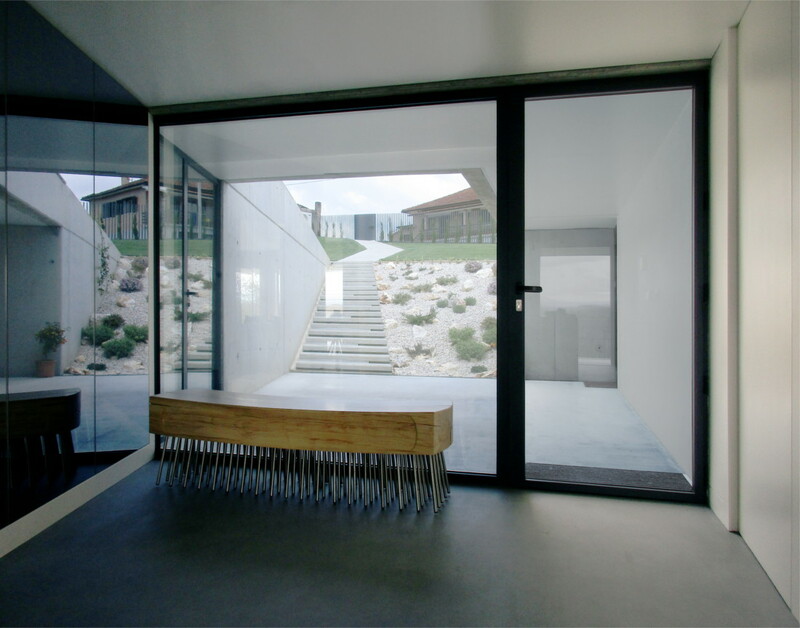 The house concept is thus born from the topography of the land: a simple design gesture digs and generates a courtyard on the ground, and from a simple cut on the terrain a big window appears. 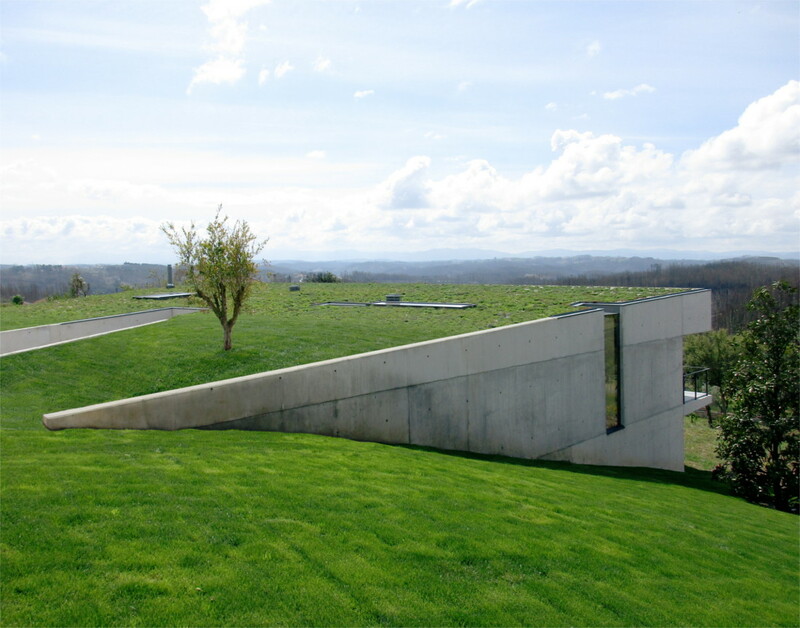 The roof is completely green and the concrete appears externally on the facade and landscape walls. 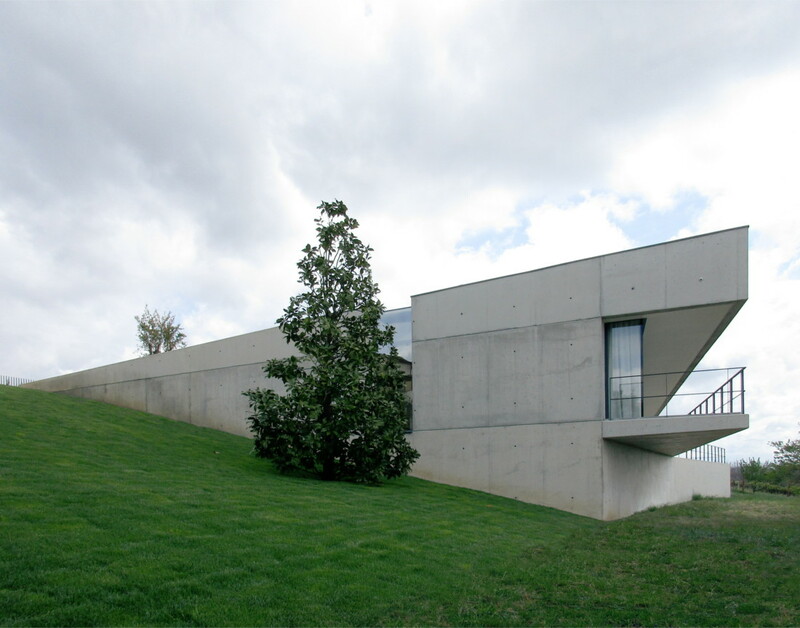 On the exterior, the concrete in sight is a process that requires superior technical care but which symbolically remind us of the ancestral constructions “in situ” using the high thermal inertia of the earth. Inside, the entire floor is made of varnished reinforced concrete. 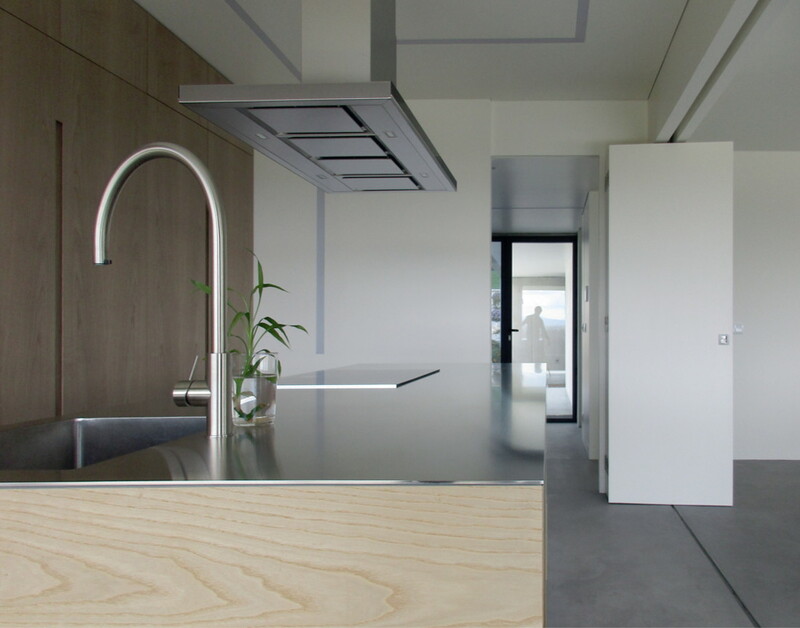 Only the interior walls are plastered and painted, and in the bathrooms the microwaving runs through these spaces. 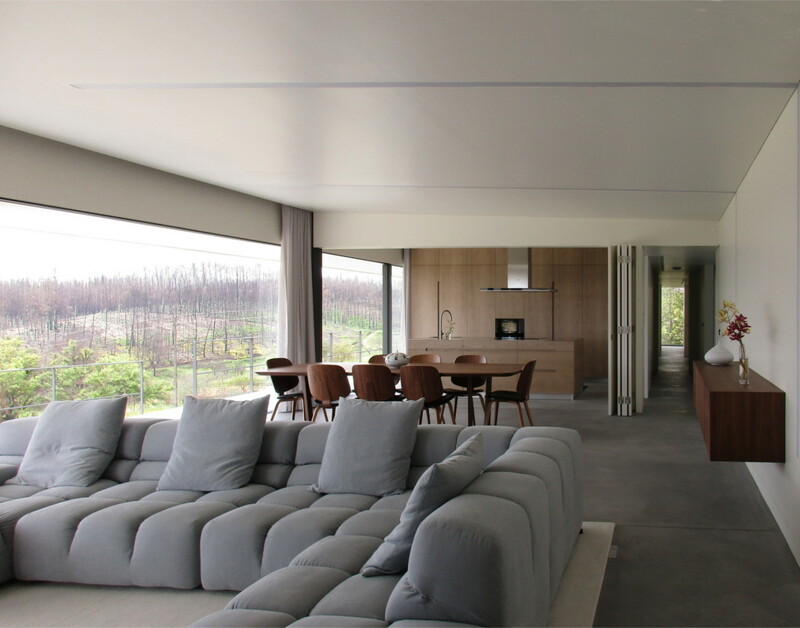 All rooms of the interior have natural light through windows protected by the porches or zenithal light of the roof. The concrete in the end turns out to be a geological process produced by the mankind and the element that allows us to model the landscape carefully. 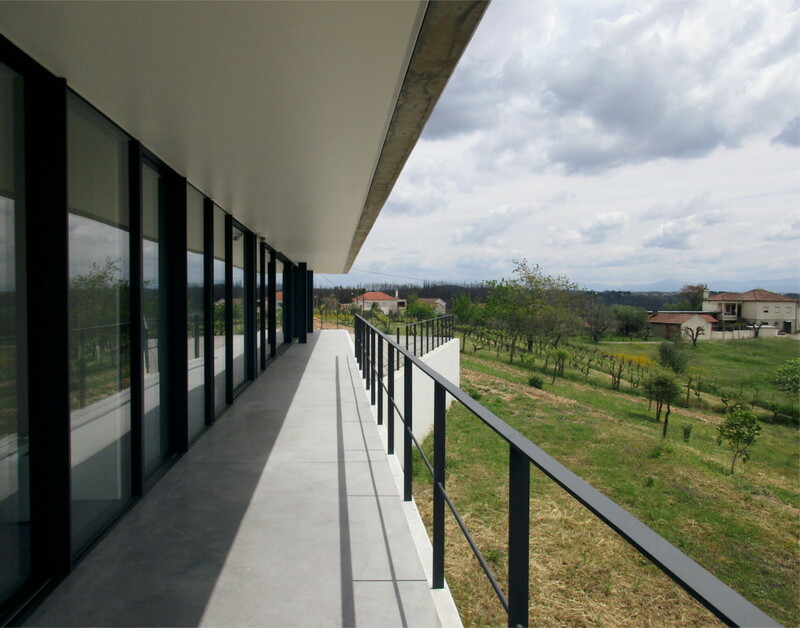 The organization of the spaces is simple: all the living areas are facing the landscape and porch. 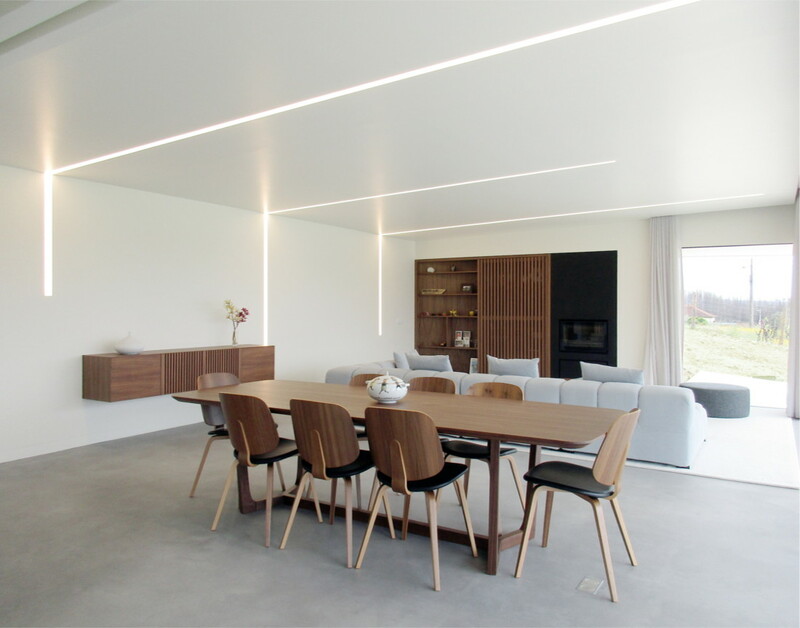 The living room and kitchen are next to each other with removable partitions. 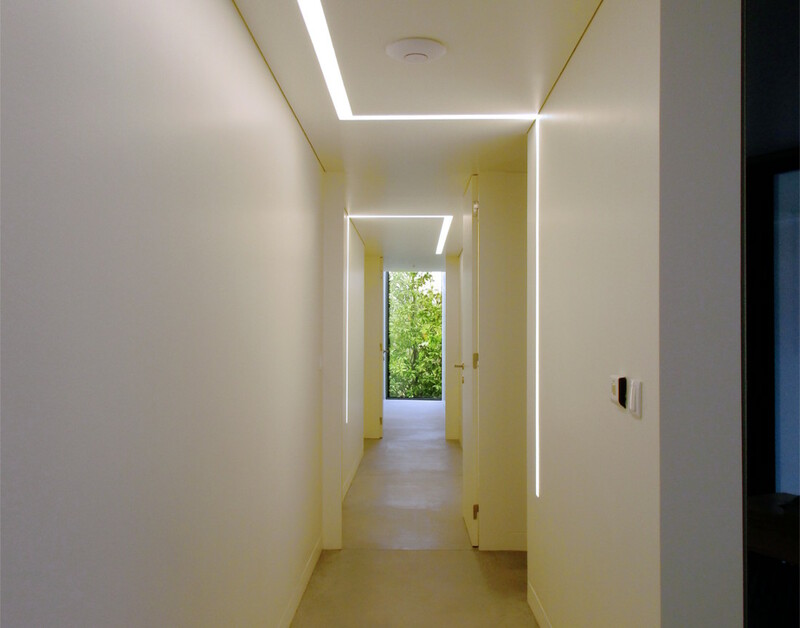 The entrance patio floods the hallway and corridor with light and allows the access to the garage. 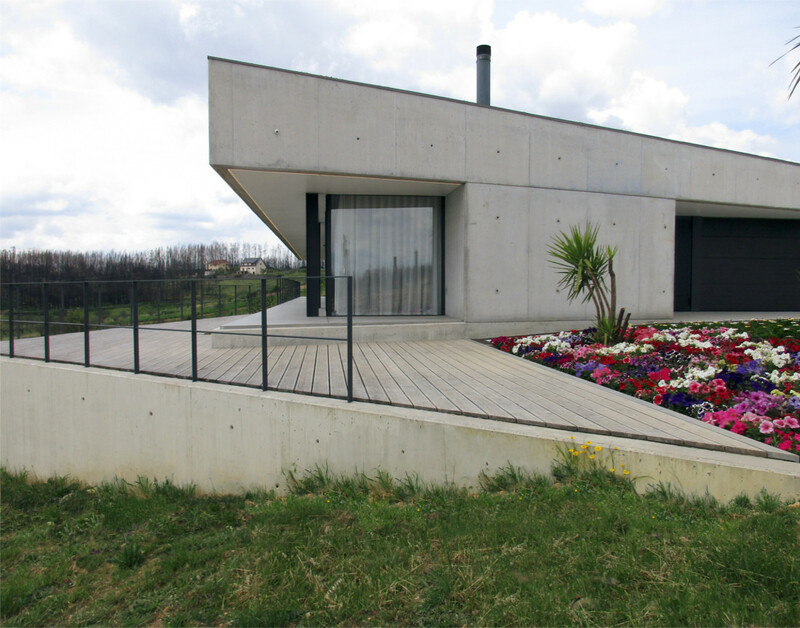 Concrete is symbolically the closest thing to a rock. And it is precisely in this context that it is used. It allows us to model the landscape, creating slopes and terraces, but keeping the surfaces and floors green. The garden is by nature a hybrid concept and here this notion is taken to the extreme by the architect. 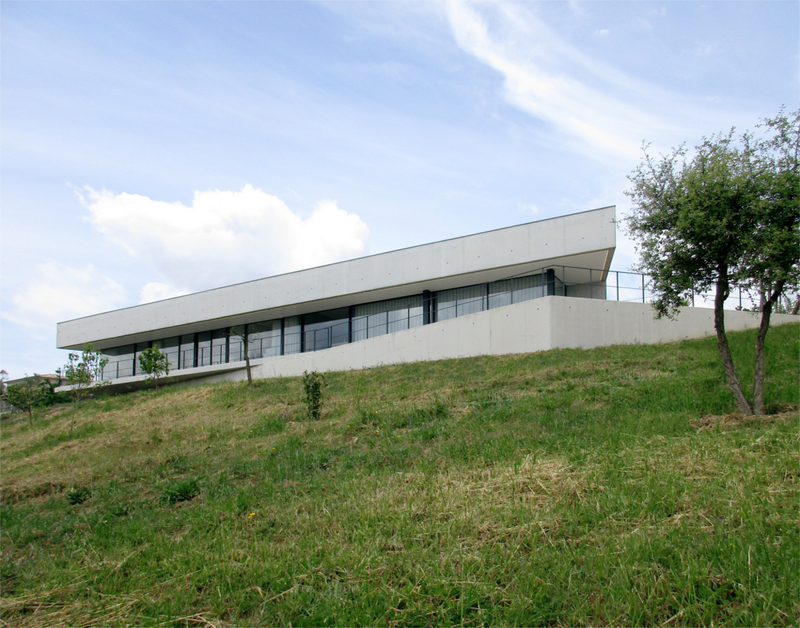 The exterior is sometimes geometrized and sometimes is just left in the natural state. The garden encompasses both native and other remote species. The grass merges into the sedum or the meadow, the mineral garden becomes vegetable, and mostly everywhere all borders are diluted. 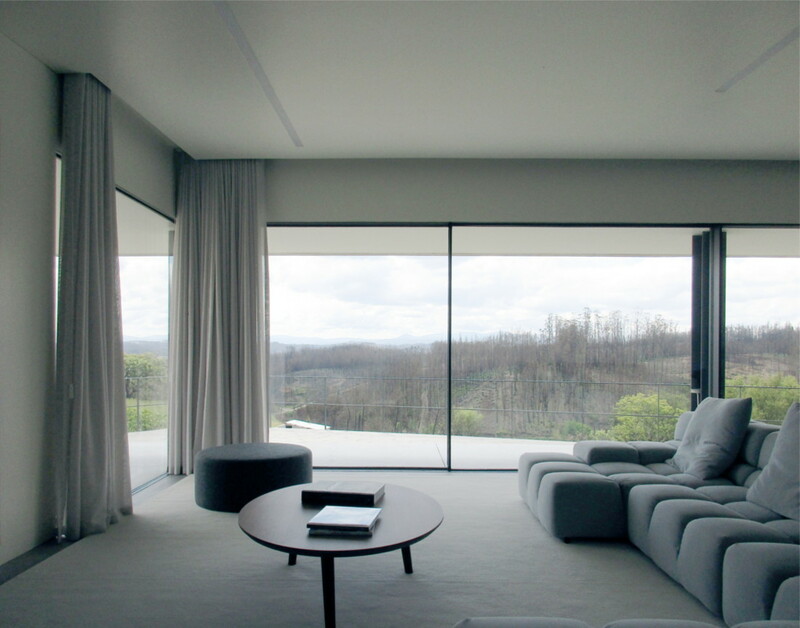 Inhabiting the landscape with concrete in sight turns out to be a simple way of describing the project. The concrete allowed us to connect interior and exterior. So we can now say that on this house, the garden, landscape and architecture are now one sole element.